Catherine Martinez, we don't live in Arizona , we live where we park the motorhome. I have 5 children, Anthony, US Army, John John US Coast Guard , Bobby Commander in the US Navy, Billy More…, USArmy. And Sunshine my daughter, Perfessor,at Arizona State University. Im not sure but I think Mickey Spencer and I got the First Trophys for CHS. Oh by the way my name is Johnny, not John. , John is my dad, I'm. JOHNNY. After High School, I joined the Navy, Got married, Got Divorced, Earned my Bachlors Degree, then My Masters Degree, Retired from the Navy after 25 years, Got a job at Hill AFB, Retired from there in 2008, Meet my Wonderful Bride Cathy in Feb 2009, Got Married in June 2009. We travel the US and the World. I am the Luckiest man in the world. Your as Old as you want to be, Im 65 going on 18. Last year I was 17. Well I am now 69 going on 16, Cathy,my wife tells me I forgot how to count. 1, 1, 1, see! To make my wife the happiest little girl in the world. Setting goals, that are not reachable, and proving to my self that reaching those unreachable goals is possible, nothing in this life time is impossible. Stay Positive! John Martinez Martinez posted a message. John Martinez Martinez has a birthday today. John Martinez Martinez posted a message. New comment added. 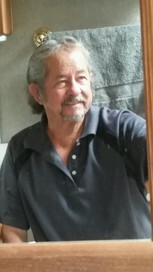 John Martinez Martinez updated his profile. View. We are in a little town near Yuma az, for the winter. Hope to see you in the future. hay bubble HEAD!!! WHATS GOING ON? John Martinez Martinez posted a message on Ron McCall's Profile. 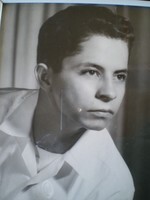 John Martinez Martinez changed his "Then" picture. John Martinez Martinez added a photo to his profile gallery. 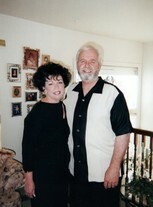 John Martinez Martinez posted a message on Susan Blake's Profile. Susan Krey Millward posted a message on John Martinez's Profile. New comment added. Hi Johnny, Wow! What a fun life. I am happy you are having fun. Me, and my dog JYN, Australian Kelpie, 9 months old. APRIL 2018, wellton az.